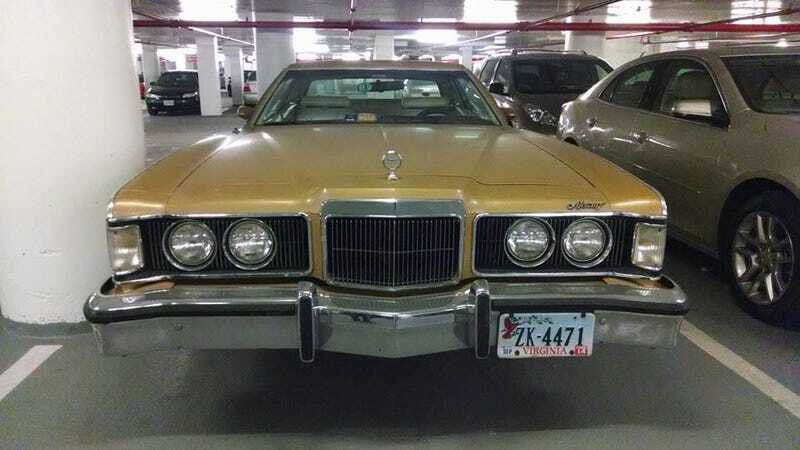 This old Mercury Cougar sits in the parking garage where my brother parks for work every day. He says it showed up somewhere around September, and hasn't moved since. There's a thin layer of dust forming (not too bad yet), and the emissions sticker and county parking sticker have expired, though the registration stickers are still good. Still not sure whether it's truly been abandoned or if it's just resting. It's a commuter lot, not really the sort of place where people store vintage automobiles. And parking is $170/month, so I'd imagine somebody out there must still be footing the bill for this thing.